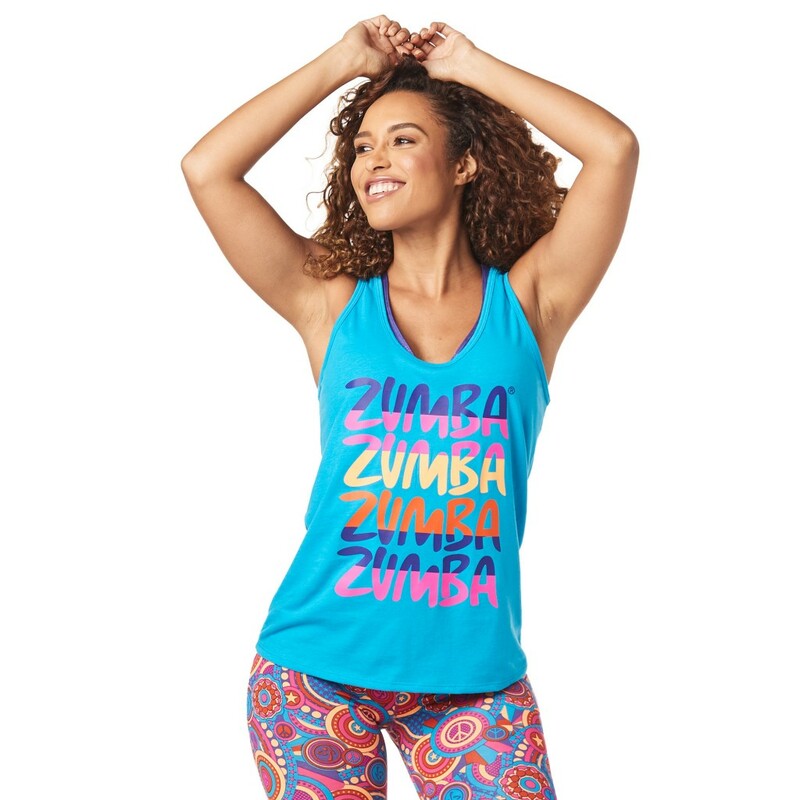 SKU: Z1T01728. 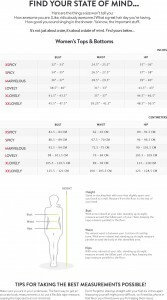 Categories: New Arrivals, Tops. 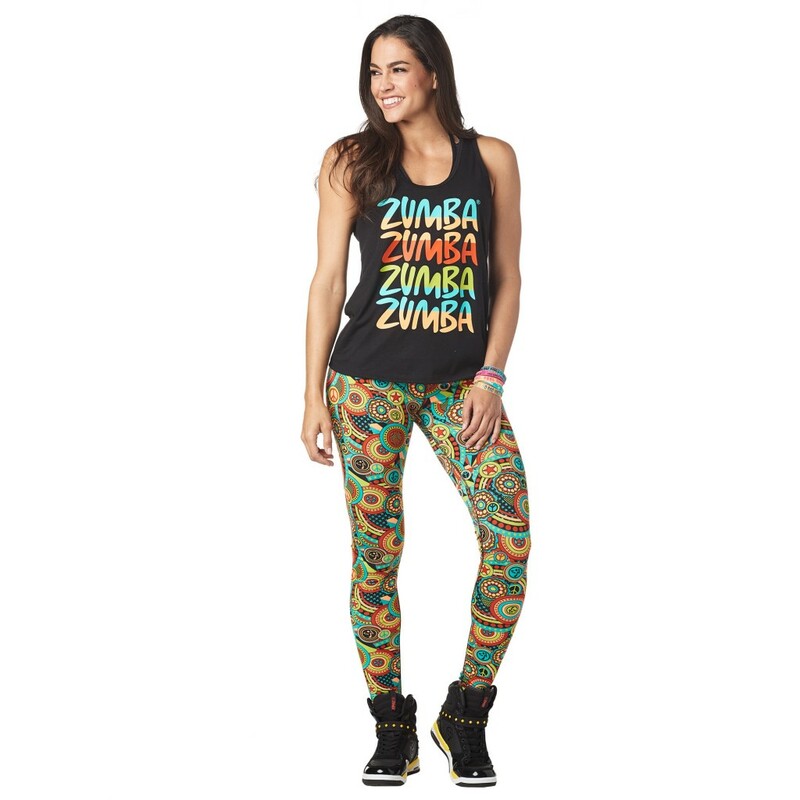 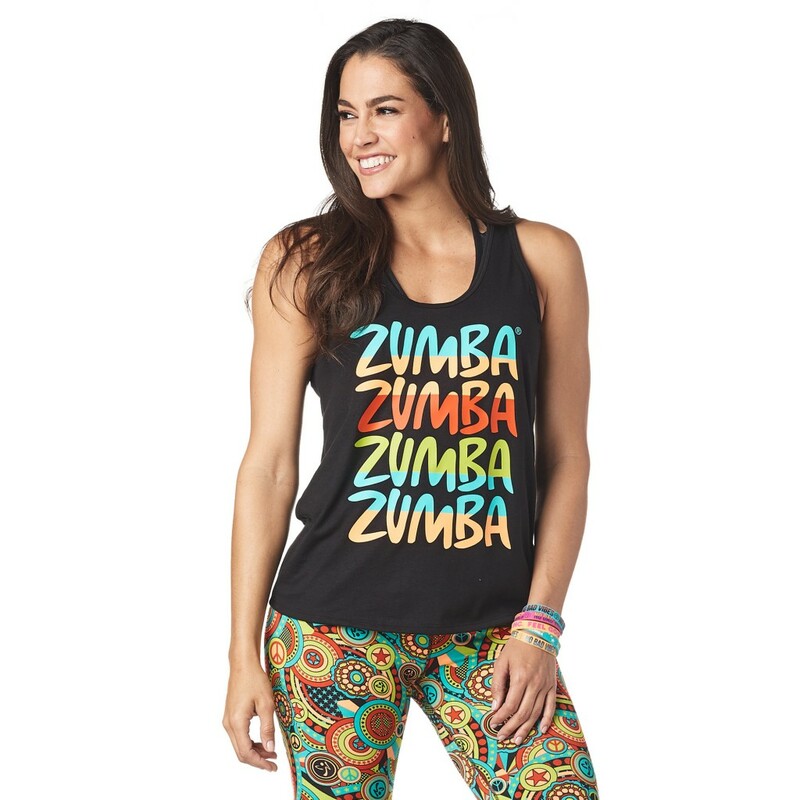 Show off your ZumbaÂ® pride in the ZumbaÂ® Forever Tank! 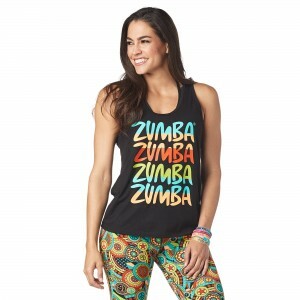 With strap details on the back and a large front graphic print, this stunner is a fan fave for a reason!